Lose Belly Fat? It’s Easy If You Do It Smart! In just 10 minutes you are going to uncover the secret how to exercise and lose belly fat the smart way but safe way. I will give you my best recommendations on diet plans and weight loss dvds plus a robust two-week exercise program. Also in this post, I will present you with a crazy fat burning formula that is scientifically proven to melt body fat in short period, combine this with the most efficient training method and you’re going to be victorious in your fight against fat! You won’t need any equipment or expensive gym membership just your body weight and a bit of room. 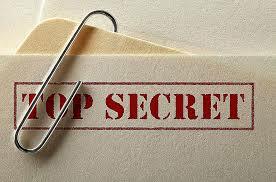 Will reveal the secret very shortly. All exercise will help you lose the belly sooner or later, but this is an age of instants. Unfortunately, weight loss isn’t an immediate solution, but with the right information, it can be a hell of a lot faster. You’re probably aware of “continuous training” this type of training is long drawn out workouts typically lasting longer than 20 minutes doing the same exercise such as running or using a piece of equipment such as a rowing machine at the gym. This slow process can be incredibly tedious, what you want is to train smart, and by training smart, I mean spend less time but get more results, to good to be true right? The two types of training you’re going to do is body weight, plus high-intensity interval training! mix these together, and you’re going to see weight loss at a much rapid rate. So I Can Workout Less and Lose More Weight? Absolutely, and if you combine high-intensity interval training with body weight resistance not only will you lose body fat but also build lean muscle to give you that toned and defined look. This type of training commonly referred to as HIIT pushes your body to its limits for a short period, followed by a short rest period. You perform the given exercise at 90% of your maximum effort (basically go flat out) depending on your starting fitness levels, if you are unfit then usually your flat out period is shorter than your rest period and as you get fitter the time goes up for the effort part and down for the rest part. An easy example of this would be to sprint as fast as you can for 10 seconds followed by walking for 30 seconds and then sprint for 10 seconds followed by walking for 30 seconds etc. Because your body gets used to patterns very quickly and adapts, your fitness will increase very quickly and have no choice but to dip into your fat supplies. With continuous training, your body adapts to this very quickly and doesn’t need to drop into your fat stores for energy; it knows what’s coming hence why you see people in the gym who use the cross trainer every day for years but never seem to change shape. The most beneficial aspect of HIIT is its ability to burn many more calories at resting state, basically, put you will be burning calories up to 48 hours after you finish exercising, unlike continuous training. When it comes to losing body fat there is one company that delivers spectacular results driven DVD’s every time and below are my 3 top picks from BeachBody. Not only do BeachBody Guarantee you results they guarantee to give you your money back if you don’t achieve your desired body. Insanity: This DVD is responsible for my love with BeachBody products, at first I was sceptical as at the time there were a lot of celebrity workouts and to be honest all though most celebrity workout DVD’s are not terrible they’re not brilliant either. Another grip with celebrity DVD’s is this; the only thing they are passionate about is making more money and the longevity is very short. Shaun T takes you on an emotional 90-day body transformation this heart pumping sweat fest will Guarantee you weight loss results and a new shredded body and probably cost you your sanity. Country Heat: Get down and dirty with this dance DVD to country music, released in 2016 country heat brings fun to exercise for the whole family and for me slight childhood nostalgia when listening to the same tracks mum would play on family trips. Not as intense as Insanity but Country Heat isn’t trying to be, does it give you fewer results? Hell no! with Country heat your belly fat is going to shrink while you’re having fun. Core De Force: Fight fat at the core! In this DVD you will be doing a lot of high-intensity cardio that engages your core so expect to lose a lot of weight and have a shredded flat belly at the end of 30 days. Learn boxing, Muay Thai and plyometrics for the ultimate fat burning combination while building your muscles to hack endurance, I have my copy and love it still not as intense as insanity but will challenge your whole body with 3-minute rounds just like being in the ring. Today youre going to refocus on the lower body from week 1, reason being is we want to really push the big muscle for maximum calorie burn. So for today just see lower body workout in the first week and follow that. Have you ever been to a gym or know someone who works out regular but never changes shape or loses weight? I Have many times; there is a few reason this can be, most commonly it’s down to the fact they are working blind and don’t know how to train. See, when you go to the gym or take up a fitness regime you tend to follow the same plan as someone else and guess what? You’re not someone else your you and need something tailored towards you and not fail like most people who take up a new plan. Everyone wants to lose weight fast but remember you didn’t put weight on overnight so by that same definition you won’t lose it overnight either. But with this proven secret formula that even gym instructors don’t know or can’t be bothered to work you will lose it a lot quicker than others. This is your optimal fat burning state, for instance, my calorie intake for the day would be 1344 which is not a lot at all, keep in mind if you add exercise to this you will be burning off anywhere between 200 – 400. As you can see this is pretty drastic, but this is of my weight and not your’s if you’re overweight you will have more calories in a day as 1000 calories aren’t recommended I would start to see a loss in muscle but you will be okay. You now know how to exercise and lose belly fat, work out your optimal fat burning state and got a 2-week training plan but if you really want to see the best results it all boils down to your diet. Don’t forget you have very little calories to play around with now you have your starting point deficit you got to make your meals and snacks count. I would highly recommend you increase protein and healthy fats and lower carbohydrates; I can’t stress this enough carbs are not the enemy over eating is! It is true that surplus carbs will convert into fat that is why we are going to limit them but NOT exclude them like some diets suggest. Two programs I am a big advocate of is 21-day fix from BeachBody and The three-week Diet by Brian Flatt, the reason I like them is they are not fads, unsustainable, educate you about real food and coach you on portion control. 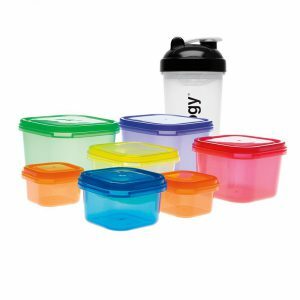 21 Day Fix: A portion control system that focuses on an eating plan without the need to count calories, instead you have color coded plastic containers (see below) that will hold your meals and snacks in for the day, on top of this you get 24/7 support and a 30 day workout DVD for extra calorie burn. 3 Week Diet By Brian Flat: Similiar to 21 Day Fix but this comes as a digital download to follow along to for three weeks educating you on the right foods to eat personally for you, three week Diet system is tailored for you and delivered to your inbox instantly. Hope you enjoyed this ultimate guide on how to exercise and lose belly fat, it can be confusing with all the information out there, but if you train smart and eat healthily, I promise you in just three weeks others will see a difference in your appearance. Don’t waste your time with long boring workouts and start doing HIIT to lose your belly fat perhaps look into fitness DVD’s as there fun, motivating and make you accountable and there is no better weight loss exercise DVD’s than BeachBody. Lastly be sure to work out your optimal fat burning state to get the most out of any program this formula is magic and proven to work. Please Leave me some comments on How To Exercise And Lose Belly Fat Below! For more free workouts and diet tips subscribe to busting my fat belly’s newsletter below. Thanks for this great post. Some tips were missing in my schedule. Now added more from here. Hope to see result soon and I’ll write back after the progress. Thanks again and keep it up. Its a great knowledgeable article you share with us. Thank you for informative article. Belly fat is the hardest one to lose and it requires a lot of effort. My husband has been running for two years and he lost all of his overweight except for belly fat. Now he has started doing some exercises 10 minutes twice a day and after 2 weeks he started to see the first results – very tiny results but still very motivating. I will share your article with him – I am sure he will benefit as well as any visitor of your website as you do have some quality content here. 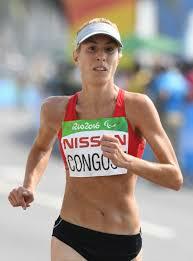 Related to the exercises, they seem to be fast, efficient and well distributed at the time. It settles little steps to get the body fat free in a cheap way through a disciplined and consistent fitness work. This program lets people committed to getting results which depend on themselves strengthening their willpower to reach their aims. I liked the way you present the steps and focused on overeating as the hard enemy people have and suffer a lot with this disorder. Congrats for the good work you are developing. Hi Varleysheen, great info about losing belly fat the smart way. Everyone wants a quicker way to get results, so these tips are helpful. How does the HIIT method affect your heart? Does it still have cardio benefits? Also, what do you recommend for someone with a history of back pain? Will the HIIT method and the videos accommodate an injury? Thanks! HIIT will affect your heart in numerous beneficial ways, most notably the increase in in cardio fitness meaning you can go harder for longer. Virtual every sport on the planet is HIIT as its stop start stop start etc take football for example they dont run around for the full match they have quick bursts and then a short rest until the ball comes there way. Hi, I’ve always been averse to long drawn out cardio sessions that become boring with repetition. These workouts you’ve mentioned are so much fun and they cut down on the gym time to get results. I’ve found HIIT training to be invigourating. Do you need a good level of fitness to start with before HIIT or can anyone get started on these programmes? i think I’m more into continuous training as I do jog quite frequently and they often take about an hour worth of run but I think I may be missing something as I don’t feel like I’m burning through my calories much though. Hiit run sounds really interesting, short bursts of energy followed by rests. How do I know when should I stop doing Hiit though, do I do it for an hour as well? Its important to remember that you got to enjoy what you do, if you enjoy contiguous training then thats better than doing HIIT for example and not enjoying it. However if you was to enjoy hit you would see more benefits and your fitness would go to the next level helping you run for longer or even a quicker time! You seem like you have a good level of fitness already but an hours worth of HIIT inst necessary and if done properly extremely difficult, remember you are working to 90% of your maximum effort! I would aim for 30 mins and build up depending on your goals, what are your goals? That is so much information on exercises and diet. Although I might try following the exercises but it is way too difficult to follow both the exercises and diet at the same time. I mean there is this problem that when I workout a bit, I start craving junk? How do I overcome that? This is new to me; craving junk after a workout! If it is sweet things your looking for after a work out then try eating fruit, something like a banana or even better a mixture of dry fruit and nuts. Becarful of to much dry fruit though as it is a lot more calorific than un-dried fruit but should give you that initial hit. Also might help to have a protein shake handy as they tend to be good on nutrients and reasonably filling. I think it is more of a mind set thing for you try and change that. What a great informative article. I’m going to bookmark this one or print to keep a copy of those workouts at the end. HIIT is a smarter way to exercise for sure.. When I go on my exercise bike – it’s so much harder to go fast then slow for ten minutes that it is just going at once pace. When you perform fast and slow on your exercise bike this is what “spinning” is if you haven’t heard of this its worth a look in to. you can get special bikes that simulate “real” bike experience and usually can pick them up for same price as ordinary exercise bikes. nothing worse than hitting a brick wall, it can demotivate you and totally put you off your weight loss goal. Such a great tip! I sometimes forget about HIIT workouts and get stuck in workout ruts of simply walking on the treadmill and doing a few sit up and squats. I have definitely seen the best results when I incorporate HIIT workouts in my fitness routine. Thank you for the reminder, I’m going to be checking out the insanity workout videos now! Best part is it won’t consume hours of my day! How can you forget? 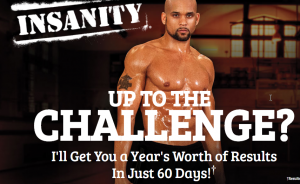 Insanity is a great program to follow you wont be stuck in a rut for 60 days at least you wont know whats “HIIT” you! With HIIT your imigination is your best friend as you can mix it up as much as you like. Great page…I like the information given. It is everything someone can use for a great workout. I am a firm believer of Beach body. I have worked out to Body beast, Insanity, and P90x. They all work and work extremely well. Wow, great article and I like the secret formula bit especially! Came out with a realistic number for me. I’m glad you talk about carbs not being the enemy, as I think a lot of celebrity fitness programs have focused on eliminating carbs in the past, but they are still a good source of fuel in moderation. I really like the sound of Country Heat, and think the music will really help inspire me. Thanks for your recommendations. You really dont need to eliminate carbs you will feel lethargic, my best advice would be to limit simple carbs such soda, sweats etc and introduce more complex carbs such as sweet potato. Awesome info. I did insanity on and off for a while, and it is seriously intense. I even got my college roommates to do it with me, and we were in a sweaty heap by the end of it. Interval training is great. I know a number of people who do the 21 day fix, they post a lot of pictures and the portions don’t look too bad! I know I really need to work on my diet, maybe I’ll check it out. Great post and lots of valuable information.I used to do HIIT a while back with a brilliant trainer and noticed a great difference in my actual physique, unfortunately she moved away and there has been nobody else in our area who offer it. Until last week I saw that there are HIIT classes starting at my gym.I train everyday doing various classes but have noticed over the past few months that my body is just staying the same,indicating that I need to change things around a little.So HIIT it is. The selections of programs and diets are credible from what I can see. Especially the programs, which I think if I am being given to choose, I’ll go Country Heat simply because it’s more suitable with family members can join in. I think it’s intense enough for me. By the way, is there any protein shake which is included for both of the nutrition programs? Country heat is a really good choice, in regards to your question with 21-day fix you can get shakeology but both programmes don’t require them as they focus on real food. Wow! Thanks I am one carrying the same belly and it’s alot of hardwork trying to hassle children and Excercise but this is motivating me. I should have some time to do my fitness training too. Thanks for the tips. High Intensity Interval Training is the best I love it, like you say its enjoyable, effective, and really accelerates your breathing and heart rate. very interesting article and very important infos, i’m a great hiit lover: quick, no excuses , effective, using also the right dvd’s and programs a great way to keep in shape anywhere you want, i’ve been studying and writing about this as well and totally agree with you! keep it up! I love the fact you don’t have to join a gym or even go out of your house to lose your fat gut now days. Historically home DVD’s wasn’t that good and was quite “gentle” and you never really found success with them. If you like writing about DVD’s then I invite you to post if you like? Good and helpful article jam packed with useful information! This is such a problem for so many people so i think this post is going to really help a lot of people! If a person combines proper exercise with the proper diet it is a winning combination and a necessity to facilitate good health. Losing belly fat is just one benefit! The benefits are endless, in fact, some wouldn’t of even crossed your mind! using exercise with a proper natural healthy diet you will lose belly fat much quicker. That’s some good info. The idea of HIIT is something that really makes sense to me. I’ve tried to lose fat in the past, only to hit a plateau. The only time I’ve been able to get past this is to change things up. I’m not a fan of diets, especially those that tell me I can’t have my favourite foods. Not being able to eat carbs, just seems wrong…on so many levels! Thanks a LOT for those exercise plans, I think I’m going to start those tomorrow. Which is your favourite Fitness DVD? I’m leaning toward the Insanity one, I’ve heard of that one before too. Hiit training is the best, my friend at work debates me all the time about “cardio” is better! 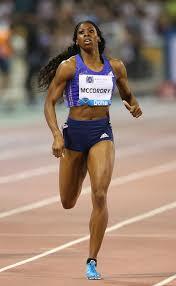 I just say what would you rather look like a marathon runner or a sprinter? Essentially we need carbs we just dont need to over do them, that where the problems come from as they break down and stored as fat if unused and when you get a fatter your metabolism slows down putting you deeper in the vicious cycle. My favourite DVD is insanity its pure genuis and brutal at the same time. Thank you for sharing all this information on how to lose belly fat. It’s strange that it seems to be the toughest place to really tackle. I’ve heard that you lose fat first on the last place you gained it. I guess that means that, in theory, you’d lose it in what you perceive to be the toughest place? Either way, I really like you idea of high intensity interval training. I think this could be the trick I’ve looking for. Thanks again! a good rule to thumb is where ever you carry most of your fat you will tend to see a reduction quicker but again this is just my opinion. I have definitely tried out high intensity interval training and found it to have drastically increased my fitness levels. I agree that if you want to see results then you have to also focus on your diet! Thanks for the tips – your 14 day body weight workout is very useful. I am glad you found it useful I love it HIIT training its so satisfying, equally to lose belly fat you got to implement diet aswell. I think it’s great that you have recommended home DVD’s as a way of being able to lose belly fat. Not everyone has the initial confidence to go to a gym or park and start exercising. This is a very helpful guide as you are pretty much showing us step by step how to lose belly fat. Great article! Going to the gym is a luxury for some but there really isn’t any need to put off losing weight all you need is your own body. Wow, that is a lot of information on one post. You really seem to have a good hold on how to post this type of stuff and I am sure it is very much appreciated. Belly fat is the worst. Wow, that was a lot of information on different programs and diets. If anyone could just focus on one of your suggestions, they would be getting results. I personally try insanity and it is crazy! The name definitely fits the bill. HIIT is the way to lose weight and fat. In addition to a healthy diet, you will be in great shape. Thanks for the great post, cheers.